By hand. In small batches. We seek out extraordinary ingredients, combine traditional techniques with experimentation, and handcraft it all from scratch to make the finest spirits. We are proud of every drop and will only produce what we love to drink ourselves. Try our amazing Spiced Rum. It's a Gold Medal winner at the San Francisco World Spirits Competition. Join us for a tasting! We would be honored to share our spirits with you. The Malahat was the "Queen of Rum Row" - a five masted schooner that supplied the finest spirits to Southern California during Prohibition. 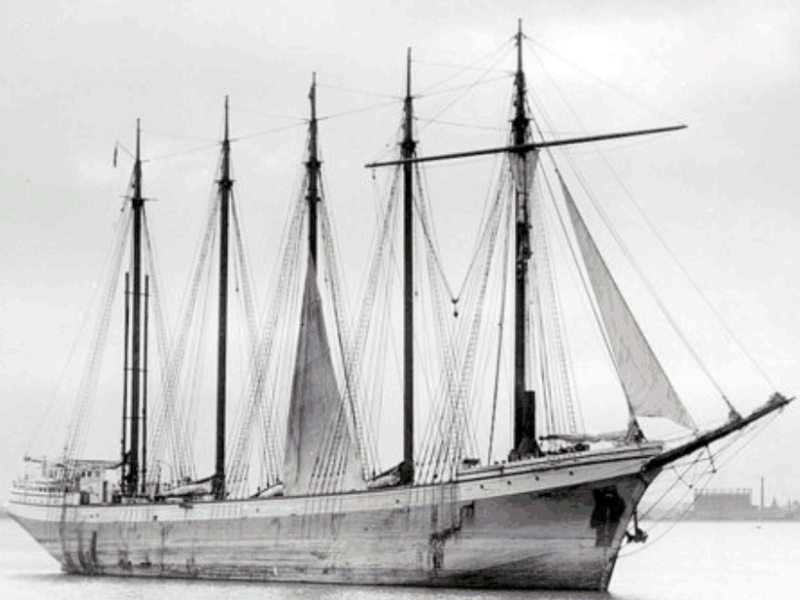 The Malahat was a five masted schooner. She sailed down the West Coast during Prohibition. Capable of carrying over 60,000 cases of spirits, she delivered more contraband liquor than any other ship in the Pacific. Anchoring off the coast of Southern California, she delivered her spirits to rum runners who would take the precious cargo to shore to awaiting patrons. She quickly became known as “The Queen of Rum Row”. If you drank your liquor in San Diego during Prohibition, chances are your booze came from the Malahat. We make our products for ourselves, our friends and our families. We set out to create the finest spirits for ourselves, our friends and our families. Our shared belief that the spirits industry could benefit from an infusion of innovation, experimentation and good old handcrafting brought us together to found the distillery. To execute our vision, we commissioned two copper pot stills. The large dual column copper pot still was custom designed to fit into the skylight of the production facility, the only spot in the distillery tall enough for the towering copper columns. A smaller “experimental” copper still was designed for small batches for research and development to create our innovative recipes. Malahat Spirits is currently focused on producing rum and whiskey. Fortunately, the production still is capable of producing any spirit, and more innovative spirits are on the horizon. We respect you privacy and will not share your email with anyone. All contents © 2018 Malahat Spirits Co. All rights reserved.